The US measures have been opposed by other parties to the deal aimed at ending Iran's nuclear drive -- Britain, France, Germany, China and Russia -- who have vowed to keep the accord alive. Washington issued exemptions to eight countries to its ban on buying oil from major producer Iran. 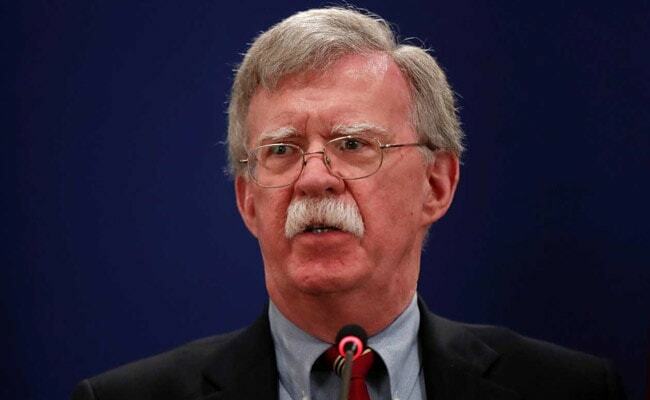 US National Security Advisor John Bolton vowed Tuesday to "squeeze" Iran "until the pips squeak", a week after a tough new round of sanctions came into force. President Donald Trump has dramatically increased pressure on Tehran, withdrawing from an international agreement aimed at ending its nuclear programme and introducing several rounds of unilateral US sanctions. The latest tranche of measures have been touted as the toughest yet, and aim to significantly reduce Iran's vital oil exports and cut off its banks from international finance. "We are also going to significantly increase the enforcement of sanctions." UN inspectors say Iran is abiding by the agreement. Bolton, however, said that "most of the countries of Europe have passed through denial and anger and many of them are already at acceptance that we're out of the deal. "Others are getting to that point." The only support for the US position has come from Iran's regional rivals, notably Saudi Arabia and Israel.